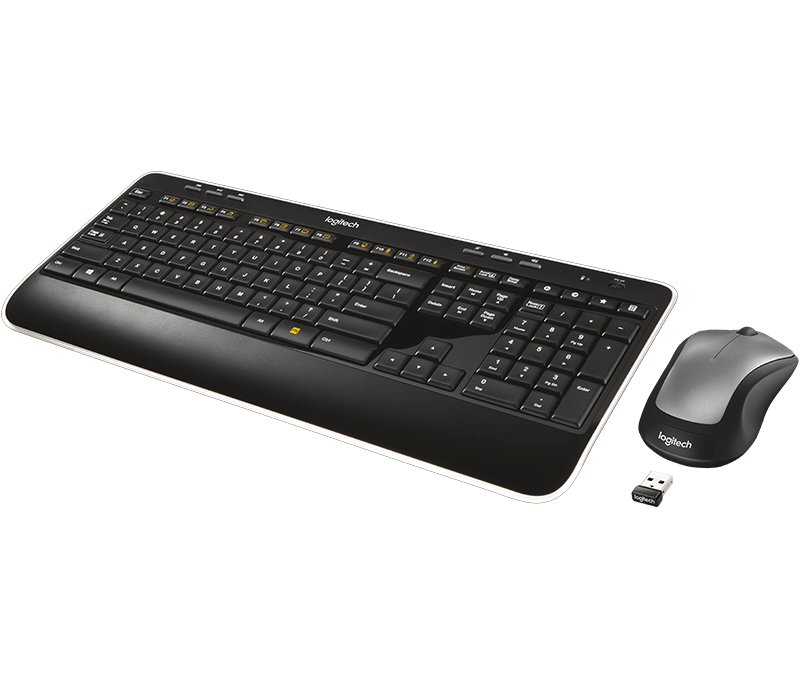 With softly rounded keys, a full-size layout, and a palm rest, this keyboard treats your hands right. The mouse keeps your hand happy and supported with contoured sides and soft rubber grips. The mouse and keyboard are so energy efficient you just might forget they use batteries at all. Type comfortably with all the room you need. The keys are where you expect them to be. 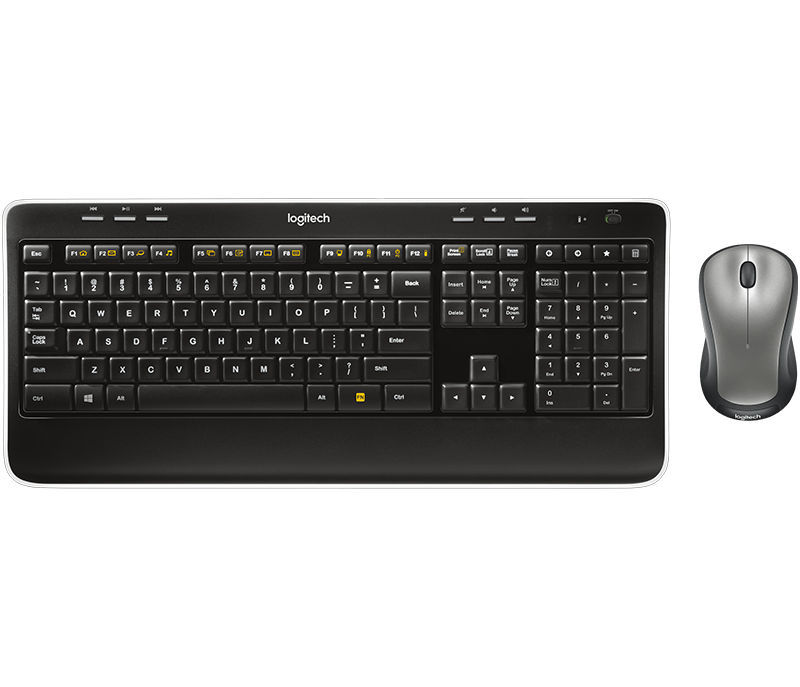 Glide from key-to-key for hours with Logitech® Incurve Keys™. Whisper-quiet, contour-edge, concave keys position your fingers properly. Curious about cursor control? Learn more. The tiny wireless receiver stays in your laptop and connects both the keyboard and mouse. Learn more about the Unifying receiver. Work and play in more places—like your comfy couch. Long-range wireless connection virtually eliminates delays, drops, and interference. One-touch media controls let you mute your computer or skip to the next song instantly. Extend the folding legs to increase the keyboard tilt to 8 degrees. Store your keyboard standing up to make space on your desk.